We invite you to spend memorable vacations in the mountains. The Trzy Korony Mountain Hut is also an ideal place to spend cheap magical Christmas or crazy New Year’s Eve in unforgettable atmosphere. Our offer is targeted for individuals as well as organized groups such as summer and winter camps, trips organized by companies as well as winter or summer school programs. Apart from sleeping accommodation we also help in arranging tours, highlanders’ storytelling or integrative trips for companies. We serve with our experience and knowledge of the local areas and communities, helping in planning excursion trails, searching for a qualified guide or licensed transportation. Dom wypoczynkowy Trzy Korony jest idealnym miejscem na zorganizowanie klasowego wyjazdu w Pieniny. Oprócz komfortowych pokojów z łazienkami oraz pysznych tradycyjnych posiłków, oferujemy także szereg rozrywek, które umilą Państwu czas spędzony w naszym schronisku. Zapraszamy do zorganizowania u nas pobytów dla młodych sportowców. Panują u nas doskonałe warunki dla chodziarzy, kolarzy, biegaczy, narciarzy biegowych a także dla sportowców trenujących inne dziedziny sportu. W pobliżu znajduje się nowoczesna hala sportowa Maniowy. 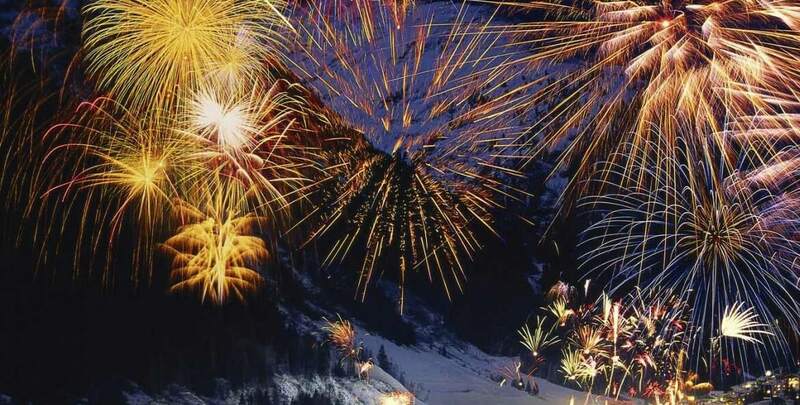 We invite you for an exceptional New Year’s Eve in the mountains. Numerous attractions await you here. You can spend your free time taking inspiring walks, making a snowman, fighting with snowballs, riding on sledges or simply enjoying the aroma of cake and coffee or taking sensual delight with spirit-uplifting views. 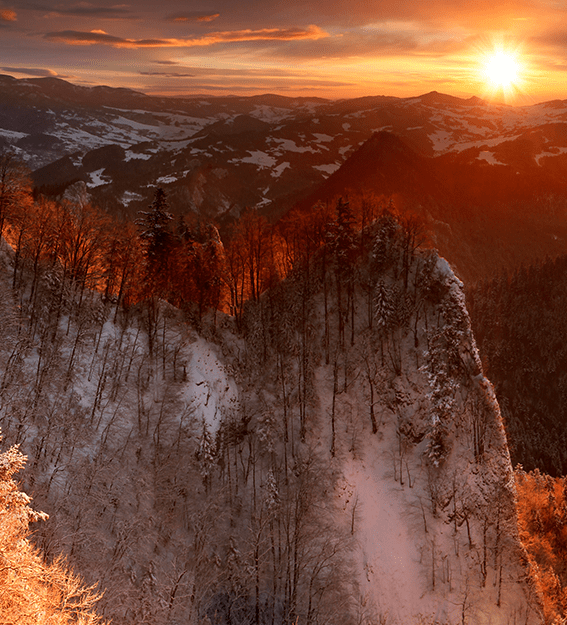 In the winter the Pieniny Mountains brim with attractions. Nearby the Mountain Hut there are a natural ice rink and ski slopes where you can give yourself to real snow frenzy. There are also about 40 kilometers of cross-country skiing trails here. 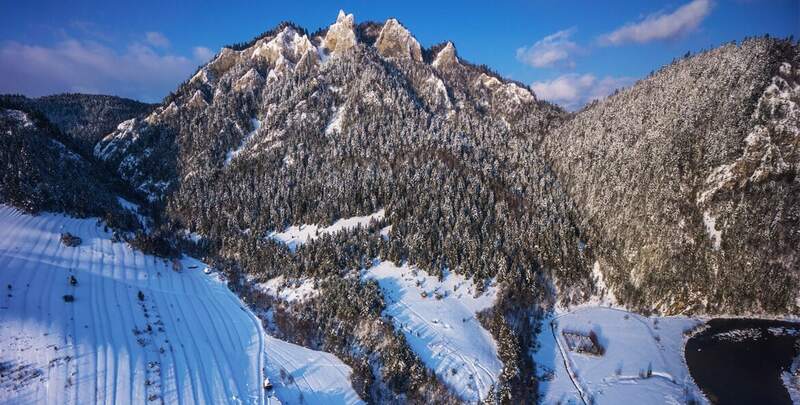 You are cordially invited to spend Christmas in mountains, at the foot of the Three Crowns (Trzy Korony) Mountain – you certainly won’t be bored! 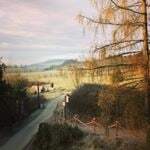 During your spare time, you can go for a walk, make a snowman, have a snowball fight, go sledding or simply marvel at the landscapes outside the window, having a cup of coffee and home-made cake. 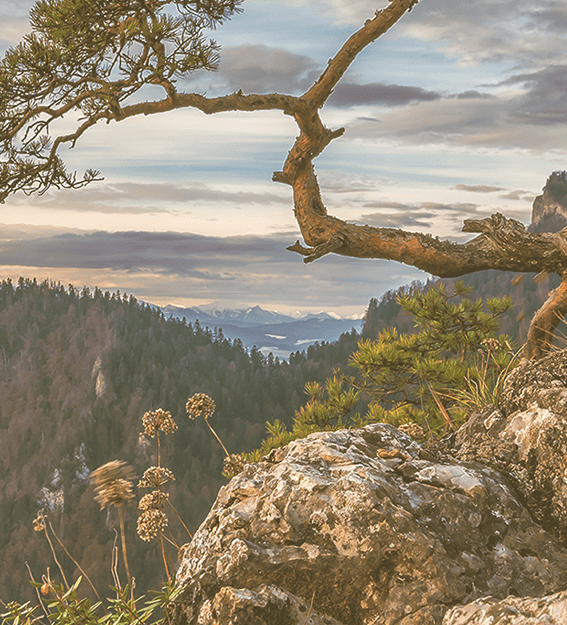 Situated by the trail leading to the most famous summit of the Pieniny Mountains – Mount Trzy Korony – our Mountain Hut is an ideal place for relaxation. 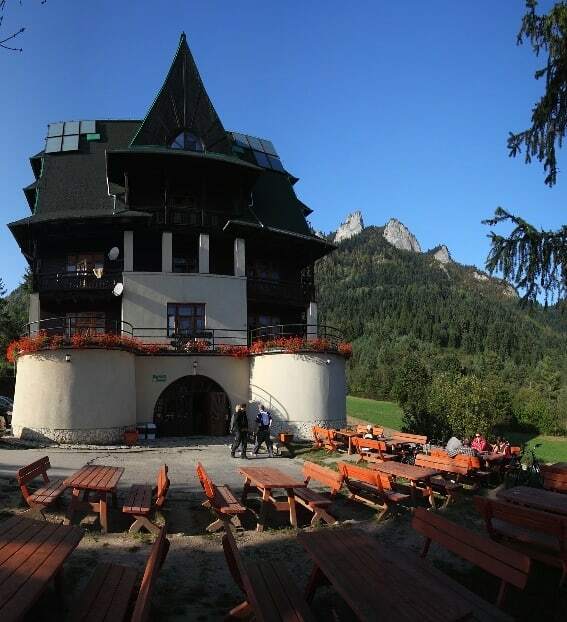 From the apartment windows of our open all year round Mountain Hut you can view the Red Monastery, the Tatra Mountains and raftsmen steering their traditional rafts down the Dunajec River gorge. The Mountain Hut is famous for its exquisite local cuisine and of course for the clear mountain air. Our restaurant is open for everyone, also for the passing-by tourists. 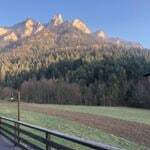 The Mountain Hut and its surroundings offer a lot of attractions which will diversify your stay at any time in the year. We offer special family packages, corporate stays with integration parties as well as packages for schools with educational activities. 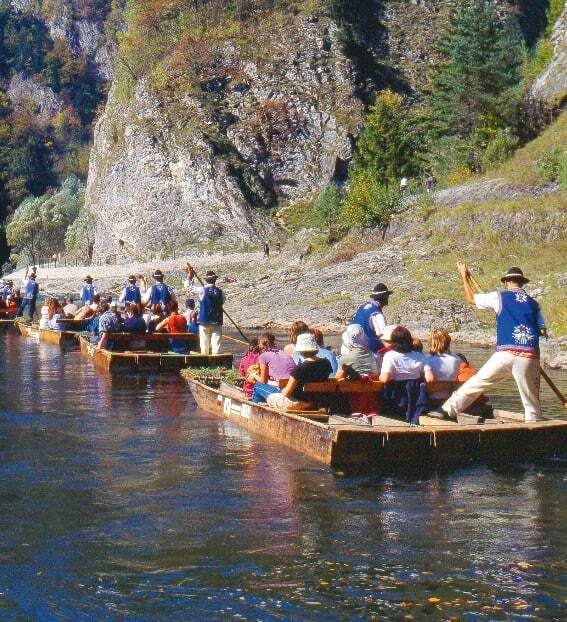 Spring tours of Pieniny Mountains – Spring under Mount Trzy Korony and by the Dunajec River Gorge. 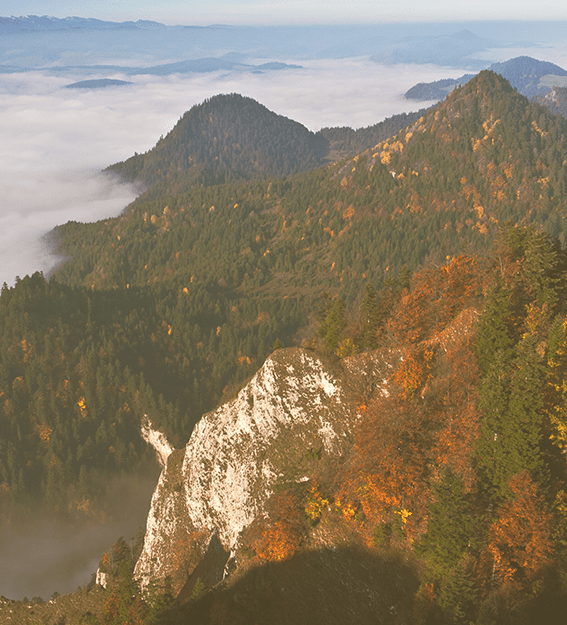 If you like mountain walks combined with observation of nature awakening to life, then you would surely adore spring stays in the Pieniny Mountains. 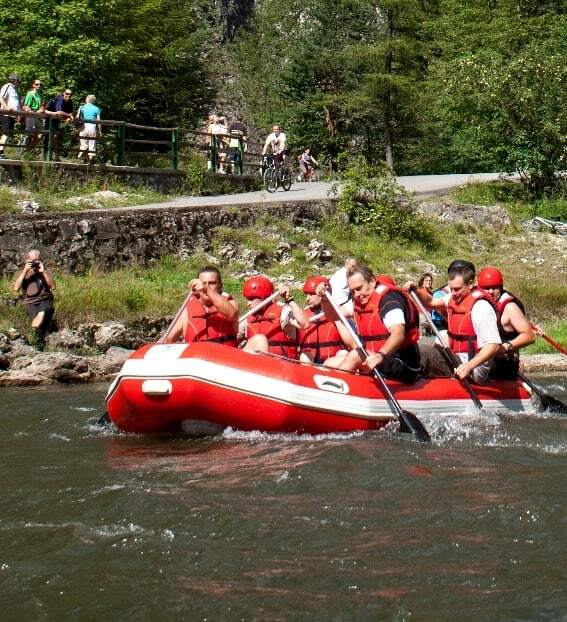 It’s in the spring when the first rafting expeditions down the Dunajec River are held, when you can take the first bicycle excursions or enjoy Nordic Walking. The spring is also the beginning of sheep pasture. 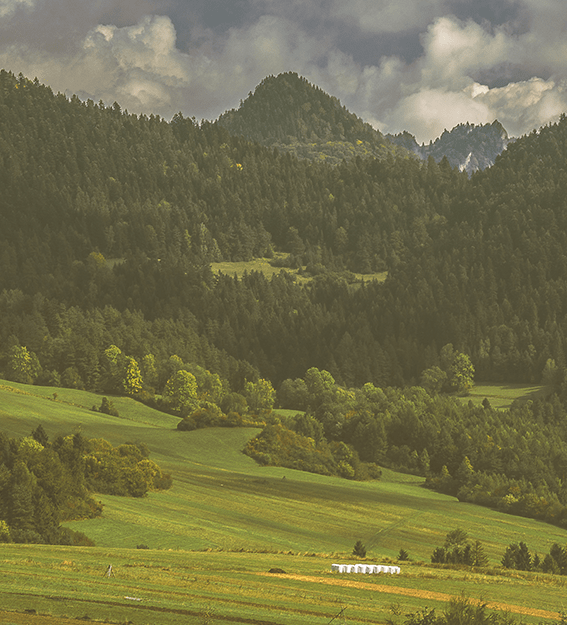 Just by the Trzy Korony Mountain Hut you can find around 200 sheep grazing and in the nearby cottage you can see a shepherd working and buy delicious types of cheese: oscypek, bundz, bryndza or żętyca. 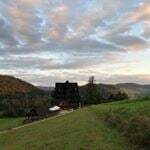 We encourage to plan your mountain holidays in the Trzy Korony Mountain Hut. 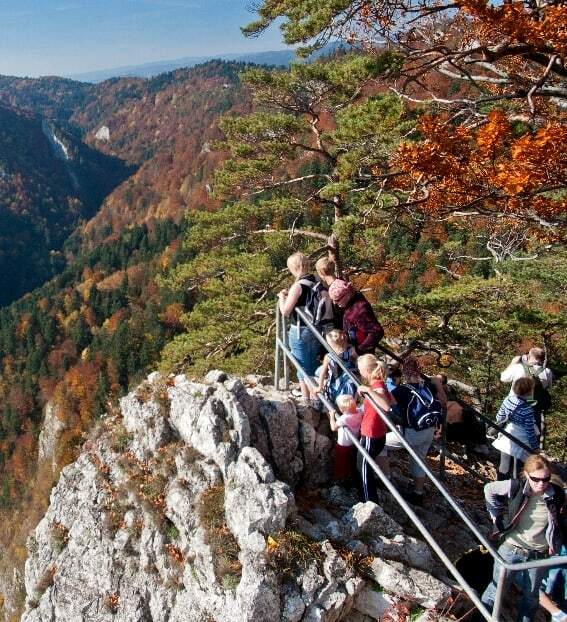 Tens of interesting walking paths, numerous bicycle routes, rafting down the Dunajec River, sightseeing in famous castles, lakeside trips will make this time full of impressions and memorable. In the evening it’s worth to take a blanket and go to the Dunajec River gorge to listen to the nocturnal concerts of nature and look at the stars which are particularly well visible here. Summer is the only season when you can see the famous Apollo butterfly which lives only in the Pieniny Mountains. If you like walking or cycling in the beautiful scenery full of multicolor leaves, then autumn is the best time to visit us.  We encourage you to use our tourist equipment supply and rent a bicycle or Nordic Walking sticks. 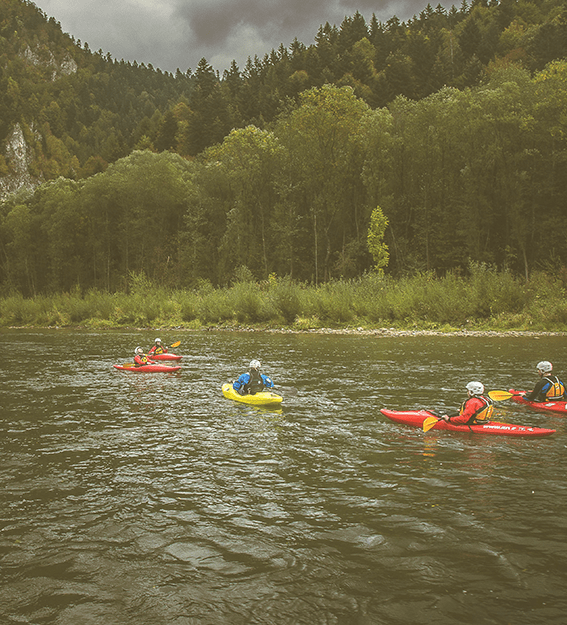 In peace and silence you will surely have an opportunity to observe wild forest animals or to take part in the most beautiful autumn rafting down the Dunajec River. We invite you also if you like fishing. We encourage to plan your winter holidays in the mountains in the Trzy Korony Mountain Hut. If you like skiing, snowboarding or skating, you made a right choice. 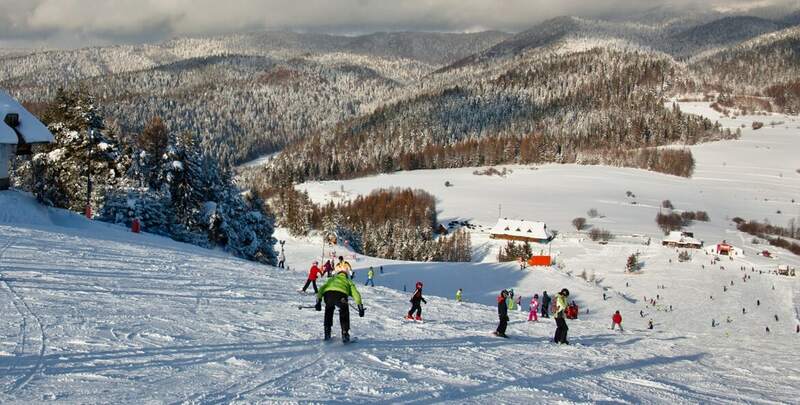 In the vicinity of the Trzy Korony Mountain Hut there are ski slopes, winter sports schools, ice rink and places where you can rent appropriate equipment. Here you can also do some cross-country skiing or put on snowshoes, which are accessible in the Mountain Hut, and go for a trip. In the evening you can take a horse-drawn sleigh ride with torches and finish it with a bonfire or choose to go to the warming hot springs. You can get to the Mountain Hut during a whole year. There is an asphalt route which will lead you to us. The route is passable (regularly plowed) also in the winter. You can express consent by going to our website, eg by clicking the "I'm going to the website" button. By pressing the / Go to the website / without changing the settings of your software / browser, you agree to the storage of cookies in your end device Detailed information on the use of "cookies" can be found in the web browser settings.